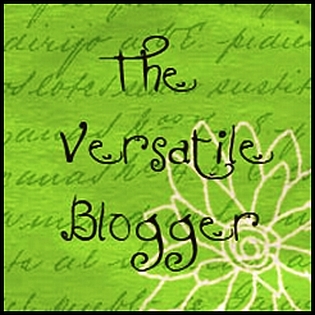 I'm ecstatic to share with my friends that I have received "The Versatile Blogger Award". I'm extremely thankful to Gayathri (The Passionate Writer) for considering my blog for this award. I'm profoundly pleased and encouraged by her gesture. Thank You Gayathri. May the Lord keep you able to reach the zenith of success. I now join the elite group of Versatile Bloggers. As per the norm, I have also conferred this award on certain talented bloggers. Here is the list of 11 bloggers (not necessarily in the order in which their names appear) who in my humble opinion also deserve this award. Here are the rules that my winners will have to follow. 1. I strongly believe in God. For me He exists. 7. I am crazy about films. (That was really difficult to summarize). Congrats once again to my fellow awardees. While I elate at being awarded, I am conscious of the responsibility that I've to live up to. Hi Anupam . thanks ya.. how to take this further? Cogratulation Anupam for the award. I like the variety on ur blog and you truly deserve the award. Thank you for nominating me for the award. Glad you like my blog and it's an honor. 1,2,3,4,5 are those we share. Nice reading them too..
Thanx brother. Congratulations to you too. Its Ok Gayathri. We all have our own minds. There's nothing wrong with being logical. In fact it even helps. Congrats:- Anupam, first time on your blog and loved the blog, happy to follow ur blog. And thank you very much for nominating me also. Very happy that you like my blog. I have a doubt - is it necessary that the nominees should be new ? Can I nominate a blogger who had already received the award ? I have nominated Leo Paw http://bigbitz.blogspot.in/. He has already won it 7 times before my nominations. Thank you Anupam for nominating me! Congratulations to you as well!